I’m still having a hangover from last night. Neither because I went for the concert nor I went for a drink after the concert (as if I would crazily go drink and drive). Well, after coming back from the RWMF later that evening I went straight to the office instead of going straight home. (Owh! yea…sometimes I’m a work freak. Not workaholic…just work freak haha!). Actually, I need to get connected to the internet right away to check on the next day’s schedule while transferring some photos and videos before they fully occupied my memory card and prevent me to capture more beautiful moments on the next day. It was already 10AM when I woke up this morning. Not my usual time to wake up but…I overslept (Geez! hope I’m not late). Taking a quick shower and getting ready as casual as I can, I hope I still make it to the Media Center in time. I’m not gonna miss today’s Lunch Date (Haha~…day dreaming mode). Anyway, I reached OHS just in time :). As soon as we finish registering and take my final day pass, grabbing some materials and drinking water from the Media Center, we then proceed to SCV for the final day workshops. 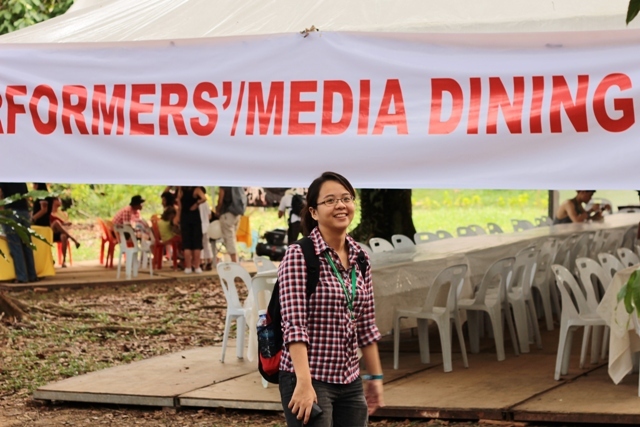 But before the workshops start, I manage to have my free lunch at the Performers and Media Dinning Area with the other fellow bloggers. Thanks to STB for the free meals! 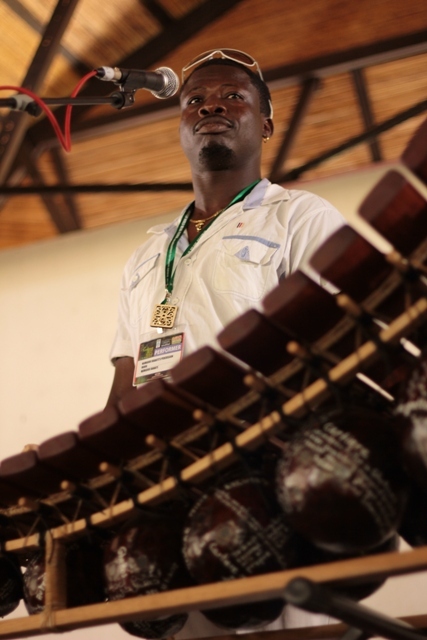 Today’s workshop features an instruments called ‘Balafon’, played by the Diabate brothers, Mamadou & Seydou. 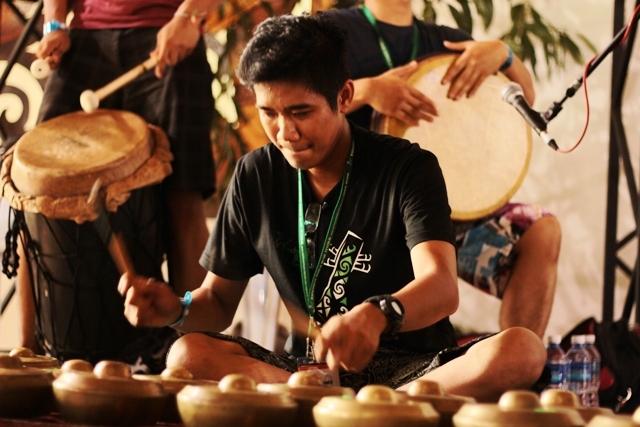 The other instrument is called Kulintangan & Cak Lempong, played by Rajwan Juni from the Rythm of Borneo and the third instrument featured for the workshop is the Mouth Organ a.k.a Harmonica, played by Conrad Molleson. 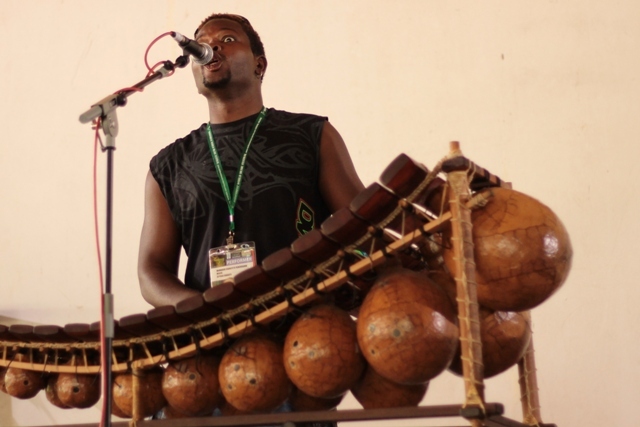 Funny fact about Balafons is that, it can be used as communication medium for those who really understands the tunes and melodies like these Diabate brothers. I was amazed by the way they communicate and conveying message to each other just by playing the Balafons. 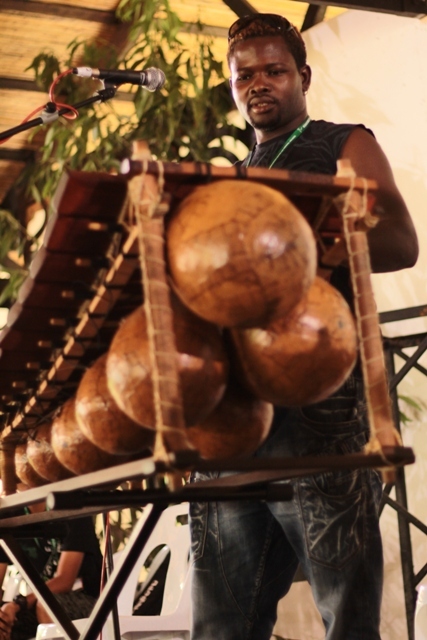 Although Seydou doesn’t speak much English but his brother, Mamadou can translate it by using the Balafons (just like a music telepathic message…lol!). 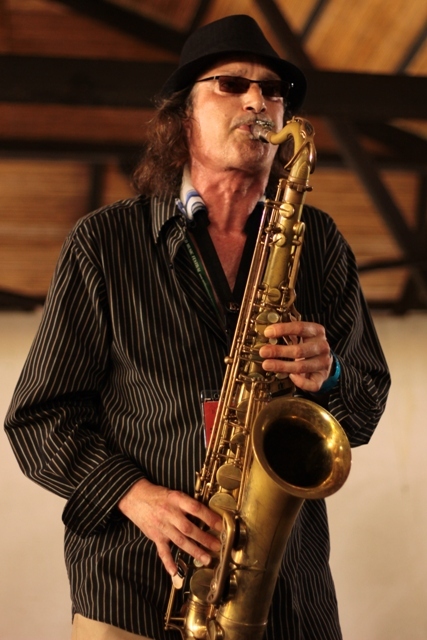 Before the workshop ends, Conrad Molleson sang us a song about a story of a Tax Collector. A famous folklore among Scottish locale. I’ve never heard such a beautiful melodies played live such as today from wind instruments. I’ve always want to learn how to play flutes but…lets just say, I’m not talented…hehe. Needless to say more. I’ll just have the videos above explain how soothing the wind instruments melodies are. Hope you guys enjoy it as much as we are too. 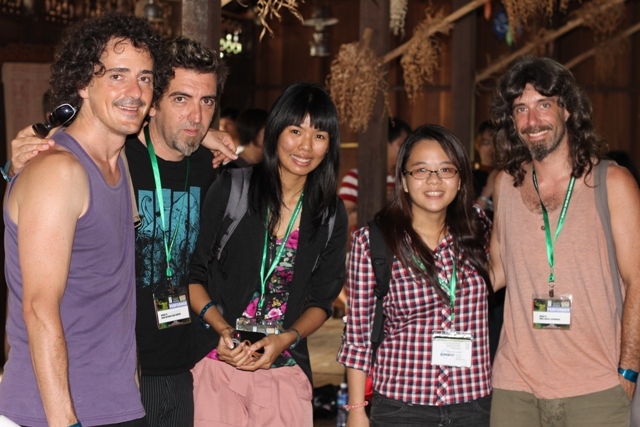 This is the chance where we can really enjoy the music while getting to know the performers up close and face to face. Still spellbind-ed by the tunes, we decided to find something metal to clank and change the music phase in our head. That’s when we decided to go to the next wind instruments workshop. 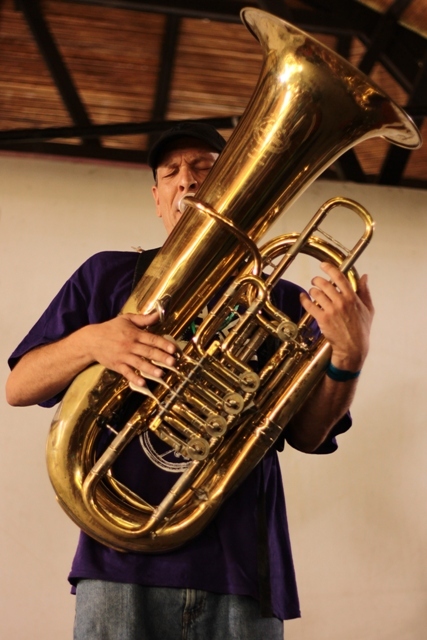 The ‘Metal In My Mouth – Brass Instrument’ workshop. 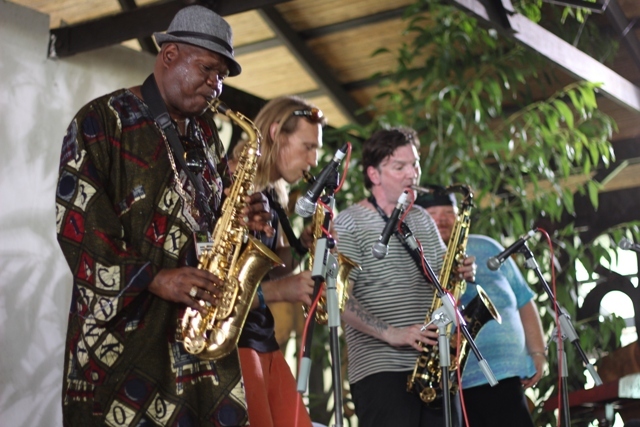 I was a bit hyped about this workshop because here, you can see a lot of ‘Kasim Selamat’ but with different skin tones and types of brass instruments…LOLOLOL! Wow!!! what a team they are. People chanting and screaming of excitement following these metal tunes. YOU JUST HAVE TO BE HERE TO ENJOY IT! The next time this festival is held, please get your tickets early. Or…you might wanna think outside the box a little bit. Instead of spending money on the tickets and entrance passes, why don’t we apply to become a volunteer during the festival. Not just you will be granted the passes, you also will entitled to have stage passes (limited to officials only), free meals, free roam and covering around ground zero, opportunities to get close and in-person with the performers. Well, I really hope that opportunities like this will come again in the future. Its not everyday you can get lucky and selected to be here especially as media representative. 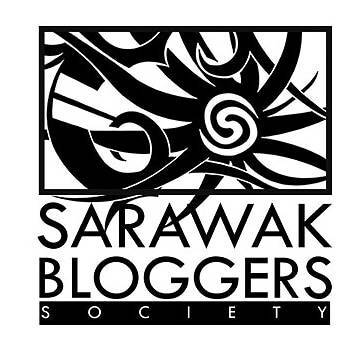 I have so much to thanked the Sarawak Tourism Board and Sarawak Bloggers for giving me the chance to have such a wonderful times and great adventures here. I learn a lot about our preserved musical cultures and I learn a lot on how to appreciate myself and the musics around me. Most of all, I discover myself and discover new friends along the way. 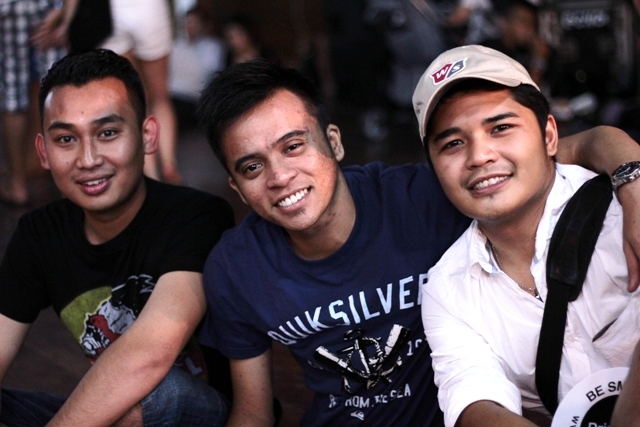 Great friends and awesomely nice companionship. Thank you all for giving the best 2012 memories. To my fellow blogger friends out there, YOU GOT TO BE HERE NEXT TIME! haha. I’m gonna miss you all. Hey! 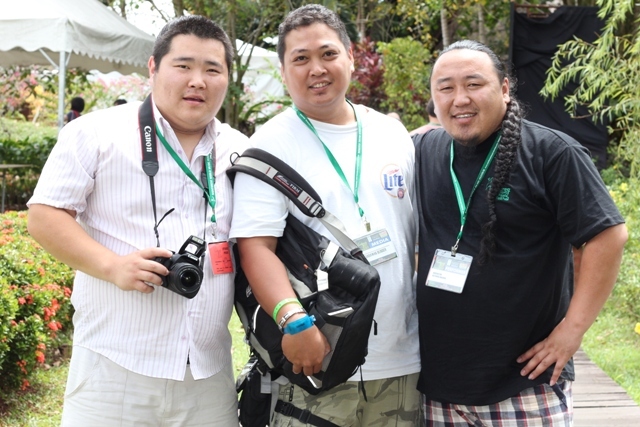 You got the photo with the two Mongol guys~! 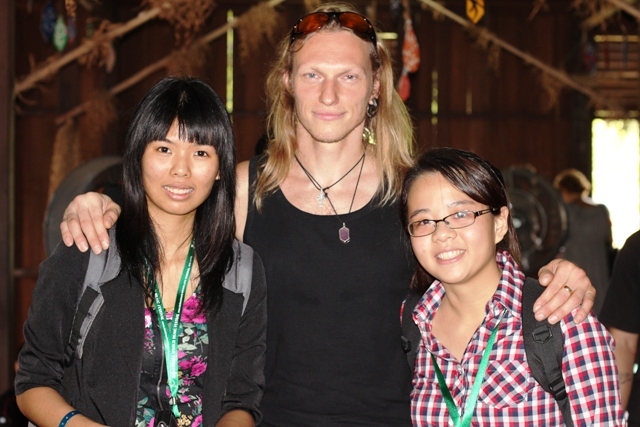 BTW~ nice coverage and i’m Yvonne~ haha! Hahaha…thanks for dropping by, Lindy. You really want my cam? Wait till I get another one k. LOL!